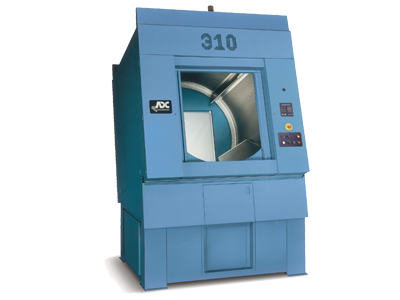 ADC’s industrial dryers are built upon the principle of large capacity and swift production at an affordable price. With full capacity tumblers and various door and tilt configurations, you are assured the ability to dry fast and efficiently without the large price tag. We offer a unique design for demanding applications. 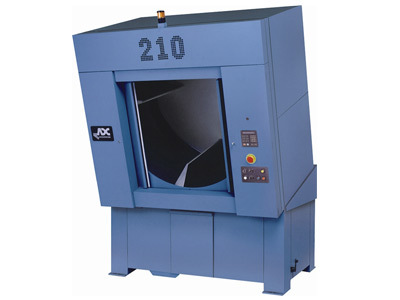 The ergonomically designed industrial-sized AD-210 is available in one- and two-way door/tilt configurations for easy loading and unloading. With convenient front panel access to all major electrical and pneumatic components, it’s also easy to maintain. The AD-210 is equipped with a wide range of standard features that include our exclusive patented microprocessor-controlled drying system for optimum operating efficiency. High production combined with durability make the AD-210 the best investment in the 200 lb. class. The AD-310 bridges the gap between 200- and 400-lb capacity units, with a tumbler volume that competing manufacturers in America simply do not offer. The AD-310 is equipped with a wide range of standard features that include our exclusive patented microprocessor-controlled drying system for optimum operating efficiency. It also features the same tilt configuration options and easy access to key electrical and pneumatic components as our 200-lb capacity model. The AD-410 combines large capacity with a small footprint, occupying as much as 30% less floor space than competing models. The AD-410 is the most competitively priced 400-lb dryer on the market today. It is equipped with the same standard features that have made ADC an industry leader, including our exclusive patented microprocessor-controlled drying system for optimum operating efficiency. 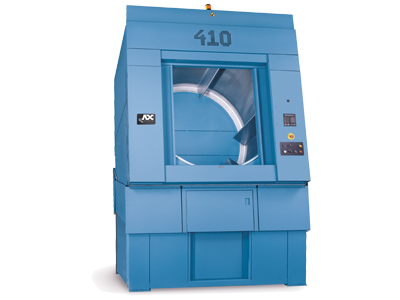 The AD-410 is available in various tilt and door configurations and can be tailored to mee any workflow requirements. The AD-464 is the benchmark in large-capacity, high-performance drying. With its 175 cu ft basket, 2.8 million Btu/hr burner, and 13,000 cfm, it can produce four loads per hour of terry towels. Its unique built-in lint collection system accumulates lint before it passes the blower wheel which eliminates the expense of a costly external collection system. With its 175 cu ft basket, 2.8 million Btu/hr, and 13,000 cfm, this performer will show immediate returns through added productivity. 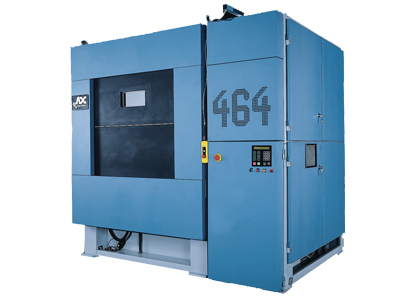 Available in various tilt and door configurations, the AD-464 can be tailored to meet any workflow requirement.